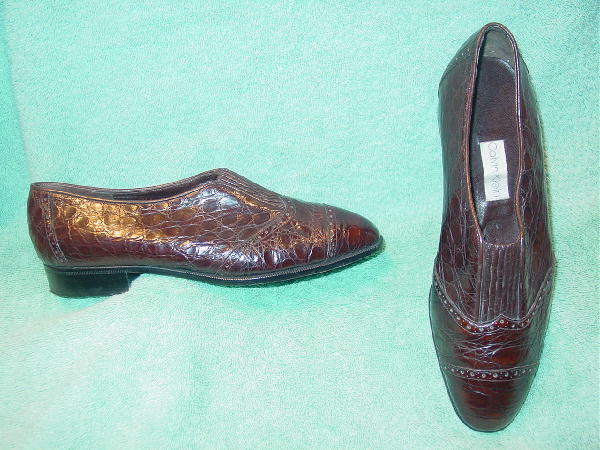 These brown embossed alligator leather brogue style shoes were made in Italy by Calvin Klein. 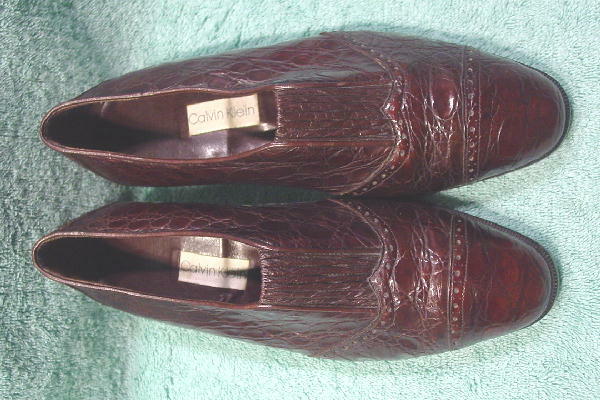 They have leather soles and dark brown leather linings and insoles. 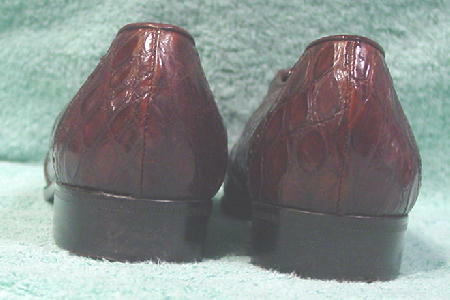 The vamps have an elastic brown panel (1" wide by 2" long). They're from a stylist's inventory, and were worn only three times.